What are your favorite "go to" punches - the ones you just couldn't live without? I love my 3" circle and square. I've also used my punch that makes a file folder tab alot. Ohhhh I love punches! I have a lot of them! My faves are my "Tag" punch, my "Large Circle" punch and my "Photo Corner" punch! My "Heart" punch is a close runner-up! I just bought a "Hexagon" punch this past weekend and I can't wait to use it! Edited by Doreena on 09-10-13 09:17 AM. Reason for edit: No reason given. I was just thinking about this last night....I need more basic Punches. I want to get squares in sizes larger than my CM ones and Circles as well. I want different star and hear shapes but I don't like the CM ones at all....Suggestions? I love my border punches....LOVE them all. (I have about 40 of them) but I need basics....any suggestions are appreciated. I really love the Marvy punches. I have the circle and square punch below and really, really want the scalloped circle punch as well. They come in different sizes. I don't have a hexagon shaped punch, but I obviously need to check that out. I love these two and use them A LOT! I have the Fiskar border punch, but oh, oh! Drippy goo!! How cool is that! I must have one! Wow great topic, it's so hard to pick, I've never thought about it but I LOVE punches! MS has just come out with a couple of new ones I am eyeing. And I don't have the circle punch system yet....still thinking about it. I have 44, some of them really small so I have to choose carefully space wise. Edited by CrimsonMama on 09-10-13 11:34 AM. Reason for edit: No reason given. For small punches I love the Fiskars squeeze punches. Those are so easy to use. 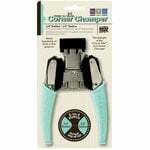 I've had other corner punches and now only use the Fiskars rounded corner punches. So easy on my wrist. I bought several round-the-page sets from Martha Stewart and hated them. Just couldn't get them right! I finally did a couple last week that came out perfect and now I'm in love with the round-the-page sets. I bought 4 or 5 more sets of those in the last 2 weeks - was surprised that some are larger than others and use different paper sizes! Wildflowers and spiral arches are the two that you need larger paper for - just as a heads up. The rest all take a smaller size paper. I also like the ribbon strip borders - don't know what you call them but they aren't for the borders - both sides cut. I have the drippy goo border too! Its one of my favorites. For some reason I HAD to have the Fiskars (I think its Fiskars) new rooster punch. No rhyme or reason why - just really liked him. Have no idea when I will use it. Maybe when we go to Key West again as there are chickens everywhere. Edited by Henri Jean on 09-10-13 11:31 AM. Reason for edit: No reason given. Thanks for sharing, Crimson Mama! I really like the Notebook Edge punch. I can think of all kinds of uses for that one! And Martha Stewart really does have some lovely punches, doesn't she? Hmmm, I'm seeing a few of those in my future! Henri Jean, someday you'll think to yourself "you know, I have that rooster punch that would be perfect for this page!" And you will know why the Scrapbook Gods whispered in your ear and said, "Buy it!" Oh yeah, I have the ribbon strip too...another great one! I just got the EK Success Film strip punch. I don't see it here. There's an anchor punch? I NEED that one! Is it current? Ooooooooh - I just went to ebay. There are 2 ek Success anchor punches. One is a punch with an anchor, appears to be a good size and there is an anchor border punch. I must have them both. The scrapbook Gods are whispering to me again. Love the puzzle punch - only used it on one layout but it is awesome! Love it! Will use it more. Especially on layouts with the granddaughters when they work puzzles later. Any MS punches, I love them all. Particularly the around the page ones. The big punches I like are so darn heavy, but I lug them to every crop because if I didn't I would be unhappy with not having them. Love punches and have many, not even to be counted! Very interested in new MS punches and the EK success Film Strip. Need to look these up. And I am in serious need of Drippy Goo. I feel a new obsession coming on! I love my basic circle and scalloped circle punches. I also really like my dotted scallop edge punch, and my cloud squeeze punch. My favorite is my Martha Stewart Birds On A Wire edge punch. I truly love this punch. It's very small, and I use it all the time. I also love the MS butterfly punch. I have the one that does two butterflies, and you lay one on top of the other. I use that a lot. I'm not sure that they still make the one that I have. I recently bought the MS Circle Edge Punch starter kit. I really like it but haven't mastered it yet. I want to buy more punches to go with the kit. Edited by crichards1 on 09-11-13 06:27 AM. Reason for edit: No reason given. love edge punches - threading water and scalloped scallops the most, large scallop and note book punch next. I had a chance to play with Stampin Up matching punches and stamps - what a treasure!!! love love love!! sooo expensive though. I got a couple Punch Bunch punches in different sizes. sheeeeeesh... LOVE the shapes (flowers, hearts, star bursts, splashes, all kinds!) but they are such a pain to use! they have this big round top thing you press - really really hard - and of course, you can't flip the punch over to see WHERE you are punching... such a pain. Edited by OlesyaK. on 09-11-13 09:56 AM. Reason for edit: No reason given. Please stop showing me these! Now I've got to have the haunted fence! Is that a brand new one? If so I'll get it with a 40% off at one of the box store. I like that the anchor punch and the anchor border punch look like they go together. I really thought I was through buying punches! YIKES! Kara - I will look for the drippy goo for you because I think it is discontinued but I see it from time to time. Maybe its not discontinued. Yes this thread is bad...very bad! LOL! Yes the punch top ones are a pain, but back int he day when I started buying punches that's all they had! Now I still have them and although they are a pain at times, I still use them once and a while. I don't think there are any punches in my stash I would get rid off! But of course I have favorites! The more I see on this thread, the more I want! My punch collection better make room for some new additions soon! I've even found myself thinking about the rooster punch, and I don't even like roosters! yes, that one! I got that a month ago or so.. awesome punch! maybe sometimes I think the holes are a tad too close to the edge, but oh well.. This post is incredibly addicting.... I have to add a couple more punches.... my WRMK corner chompers LOVE those guys. I'll sneak in one more...perfect for "manly" and nautical projects. Doreena, do tell if you like the hexagon punch. I think that is one I NEED. LOL! My favorite: MS cherish punch around, photo corner and small/medium daisy punch. I use them the most. I started scrapin' in 1996 and punches were the cool thing. I have boxes of them. I do use those "speciality" ones once in awhile but not as much as I hoped. I did buy a lizard one and have used that one the most. Good question but dangerous....very dangerous. I love punches, collect them, and have several hundred! I especially love the Martha Stewart punches, and have almost all the round-the-page and edge sets. I punch out samples on paper and catalog them in a loose-leaf folder with page protectors. I label each one with a label maker, and write the names on my paper samples. That way I just look in my catalog to select the one I want for a particular project. I also have quite a few Fiskars and EK punches, all of them catalogued. There was also a Martha Stewart anchor punch (which I have), no longer available. I saw one a few weeks ago at Michael's on clearance for $5, but I already had it. I passed up getting a train engine punch for $5 and am sorry I didn't get it. I see it on ebay for upwards of $50. One of the Martha Stewart single punches I use often is the bow, no longer available. 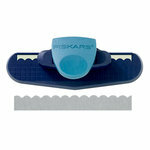 Fiskars also makes a squeeze punch bow, and I use them both. The superstore has that one. The latest is a MS combination edge and layering punch, not yet available anywhere, except for the ones I saw on ebay and I got them all. I also have all the circle punches, and most of the anywhere punches. I'll probably never use most of them but I'm addicted. Punches are so handy to use. No need to drag out a big machine to cut out a shape. I started collecting them years ago, so I have a lot that are now discontinued. I bought most of them one at a time, using a discount coupon each time at Michael's or AC Moore. I order them from HSN when a new group of punches just comes out. The rest I get on ebay. I suggest checking HSN to see if they might have anything you'd like, if it's not available here at the superstore. By the way, the "rooster" you're referring to is really a turkey. I used that one several times for Thanksgiving cards. No, she may have been referring to the rooster punch. There is turkey one too but cockadoodle is a rooster. I love any of the Fiskars squeeze punches because they are so easy for arhtritic fingers. The scalloped oval and the postage stamp have provided many, many ways to use the punched pieces. Definitely a rooster and it is called "Cockadoodledoo" love it - hope to use it someday. Gelidy - you just added another one to my "must haves". This thread has been so dangerous. Bought the two anchor ones today. Lord, have I been out of control with punches the past 3 or 4 weeks! Ever since I learned to use the around-the-corner! Thanks, Henri! Drippy Goo is out of stock in the store here, I don't know if it's DC'd or not but I've been wanting it for a while. Gelidy, the chain punch is one of my faves!! I remembered another one of my fave borders - Bumpy Road! Also great for clouds, and just random curvyness. I've never seen the bumpy road - love it! Bumpy Road!!! What awesomeness! And I went out on Amazon today and found that they have the Drippy Goo punch available. So, if all else fails . . . I was going to say the same thing. There are 2 drippy goo's for under $14.00 and several in the $30's and $40's. Seems one was nearly $50. I closed the program out so isn't in front of me. On Amazon there are two "buy-it-now" for $16.95 each I think. I like using the fall leaves border on fall layouts, snowflakes on my winter layouts, pumpkins on halloween etc...LOVE them and have a whole, large basket full! Okie dokie! I will! i have a feeling I am going to love it! I have to start ignoring this thread. I went out today to try to find the haunted fence punch. Wasn't at Hobby Lobby. Will try Michaels and Joanns later. Need to go to Joanns anyway - there is a brand new Cricut cartridge called edge-to-edge and it looks awesome - exclusive at Joann's. Also today they announced the monster bash cricut cartridge. Too cute not to get - some cute Halloweeny doily images on it and other cute things. We should start a Punch Addicts Anonymous. Oh wait, that's the secret name for scrapbookers. I need to sign up for that! I love, love, love my border punches and my corner punches. I also like my smaller flower and leaf punches. I use my Cricut for just about everything else. Since starting this whole "favorite punch" thread, I have determined that clearly, I have not fully utilized the wonders of the punch in my scrapbooking. And I've been scrapbooking many years now! I have some catching up to do, so I'll be printing out some coupons and doing a little shopping this weekend! And when Scrapbook.com has a free shipping coupon - watch out! Love my punches, I probably need that "addicts" group! The ones I use the most often are Martha Stewart ones for letters and numbers. Just love them. They are big enough for titles and small enough for cards too. Between these and my alpha dies for my Cuttlebug, I never buy letter stickers any more. I found my drippy goo punch at TJ Maxx for $3.50 last year. It was on clearance because the box was damaged but it works fine. I think I need to look for that hexagon Fiskars punch. I really like all those style Fiskars, so easy on the hands. I have quite a few of them. Edited by MisasMom on 09-13-13 05:19 AM. Reason for edit: No reason given. Wow. You are all super motivational - I only have 4 regular punches & a couple of border ones. I haven't used half of them ! But for some reason, I now have to go look for something called Dipity Goo and a Halloween Fence. Perhaps a rooster (we were in Key West last summer) and I love the paw print one way back at the beginning of this thread ! This thread is fun ! Just saw a spider web deep border punch. I love my Martha Stewart Deep Edge punch. I am looking for an extra large "star" punch. Know of one? Keri - its Drippy Goo! Great for Halloween or even layouts of babies food messes! I used it for a Ghost Tour layout. I think I have gotten all the ones I wanted except for the haunted fence. Need to get that at Michaels or Joanns with 40% coupon because it is almost $40.00! Is the Halloween fence a new MS punch? I saw a picket fence MS punch at Michaels today, but wasn't overly impressed with it. In fact, all of their punches (except MS) were 30% off so I went with high expectations, only to have them dashed! On-line shopping may be my best bet. Except for a trip to JoAnn's this weekend. And Hobby Lobby. The haunted fence is an around the corner punch - crooked fence, seems it has bats and pumpkins maybe. Definitely has crows and spider webs. I got mine from Amazon last year I think. I wasn't in time to get them at Ms or Js. I got the Haunted Fence set last year at AC Moore just after Halloween when it was on sale. As it gets closer to a holiday, the stores get in new merchandise, and sometimes an older item is revived. The drippy goo punch can be used as icing around the edge of a cake. The biggest star punch made by MS is the all-over-the-page punch, and also the layering star. It looks like the all-over star punch has been discontinued. But the layering star can punch out 2 different shapes -- one of them is a solid star, and the other has openings, so one can be placed over the other in 2 different colors. Keri, I have the paw print one if you want to borrow it at ScrapFest, just let me know! Okay, so I am super excited to use my new hexagon punch but yet super scared LOL! What's wrong w/ me?!?!? Everytime i think of taking it out of the package I have trouble breathing! LOL! Grr where did you get it?? I have been looking everywhere for it! I got the small hexagon punch and love, love, love it!!! Are you talking about my Hexagon punch? I bought it at Joanne's. I had a 40% off coupon too so I saved over $7.00 on it. If you're talking about the hexagon punch, I saw one at Michaels this weekend. I'm seeing the hexagon punches in all the box stores in two sizes I think! Maybe I should add those to my ever-to-quickly-growing collection. thanks for the info on the star punch. I will try to find one. Stampin' Up! also has a Hexagon punch that came out this last year as well! OMG me too!! I bought it at Joann with the coupon about a month ago, and still haven't used it! every time I look at it, it's intimidating LOL)) and that's after looking for the second hand CM hex punch for over a year - finally I get the hex punch... and nothing. BUT! I've pinned the most fab layout with punched hexes a couple days ago - seriously have to lift it. By the by, which size did you get? medium or large? I actually saw THREE sizes of Fiskar hexagon punches at JoAnn's last night. Small, Medium and Extra Large. They weren't on sale and there are no coupons this week, but don't think I wasn't tempted! Because I want all three all at once, right? No buying one at a time for me because I won't rest until I have all three. Sigh. It's sad. there is a small one too? I've only seen medium and up. you do realize that if there is medium and extra large, that means there HAS to be a large one too? that means you will have to have all four! Oh, Lord! What have I done? Now I'll have to research to see exactly how many sizes there are and then go on the hunt for them all! Oh, wait . . . that's the most fun of the scrapbooking process for me! X-Large! I went all out! Hahahahahah! So I searched scrapbook.com's store and Fiskar has three hexagon punches - Medium, Large and Extra-Large. But I have to say that there is quite a size difference between the Medium and Extra-large which is probably why I thought the Medium was small. Thank goodness! Now I can indulge my obsession and only purchase 3 instead of 4! To just broaden the topic EVEN MORE..... Spellbinders has a whole nested set of Hexagons. I snatched that sucker up real quick. I love it. I have the Spellbinders one as well, but there is just something about having a shape in punch form... just so easy and quick! I will be after the Fiskar ones! Yes, a hexagon punch is very handy. You can punch out a bunch using different papers and lay them out to create a pattern. To do the same with a set of dies, you have to select one size and run it through multiple times with a different paper each time. You can do several at once, but they would each be a different size. With a set of dies, you can place one inside the other to cut out a shape with an opening. You can do the same if you have a set of punches in different sizes. First punch out the large shape, and then position a smaller shape inside to punch. With punches, I actually prefer punching the smaller shape first, so that I have the whole sheet of paper to hold onto when I place it in the larger punch. Guess I need the 3 hexagons. If I don't them and they are disappointed and I need them will be disappointed. Better get them. Scanning away today. Tonight Joe will show me how to do photoshop and I will get them ready to print for a book. Doing 2,000 pages - think I got about 15 done. Got 2 computers going full time. Really, Gwynn? Must you feed my obsession? Now I'll have to get the Spell Binders hexagon set because I just never know when I'll need them in addition to the punches! LOL!!!! I actually purchased my first Spell Binder dies a while back and used them for the first time this weekend. I did find them quite enjoyable. Do I dare ask what your favorite Spell Binder dies are? I just got the x large hexagon punch...love the size. I love all the Martha Stewart punch around the page punches...and her new circle edge punch. I love the big We R Memory Keepers Lucky 8 punches. Another favorite is the MS Large Monarch butterfly punch..I like to layer them in contrasting pps and add jewels and pearl flourishes for a tail. I shouldn't be reading all of this...there are about 5 more punches now I must have...and I have no more room! I have so many that I have to keep a list in my purse. It is four columns wide with 9 point font. Just got the new Fiskars hexagon medium to go with the large and rands one I already have. I have four five foot shelves in my scrap room that hold about 2/3 of my punches. I have only seen the medium, large and extra large so far. My two new punches that I am playing with are the Stampin' Up hexagon one and the chevron punch. Loving both of them!!! Yes, Fiskars only does their squeeze punches in Medium, Large, and X-Large. I have never seen them call one of them Small. Today I found the large and extra large. Where I live, Michaels and Joann's both have 50% off coups. I bought them with the intent of layering them but these 2 sizes seem like one is missing inbetween, but I know I got the large/extra large, so nothing inbetween. Just seems like there is too much edge showing. I do like how easy they are to use, even my 5 yr old DGD was just cranking them out like nothing! and I use my small butterfly one alot. OOOhhhhh I like "him" too! Have you created any layouts w/ him? I'd love to see! I love that one! Please stop showing me all these awesome punches! The haunted fence still isn't in any of my local coupons and I really don't want to pay $39.95 for it on line! I want to use a 40% or 50% coupon! If it is the chevron punch you want to know the name for, well it is a Stampin' Up punch called chevron. Not sure if anyone else makes one. Yet. omg.. I watched a youtube video showing how you can turn the chevrons into a lattice fence border.. terrific. PS: where in ontario are you? You know, no one is mentioning any of the cartridge punches - the Knock Out or that new Fiskars system... not a favorite, heh? HAHAHAHAHAHAHAH! I do that too sometimes! I am still caressing my hexagon punch!